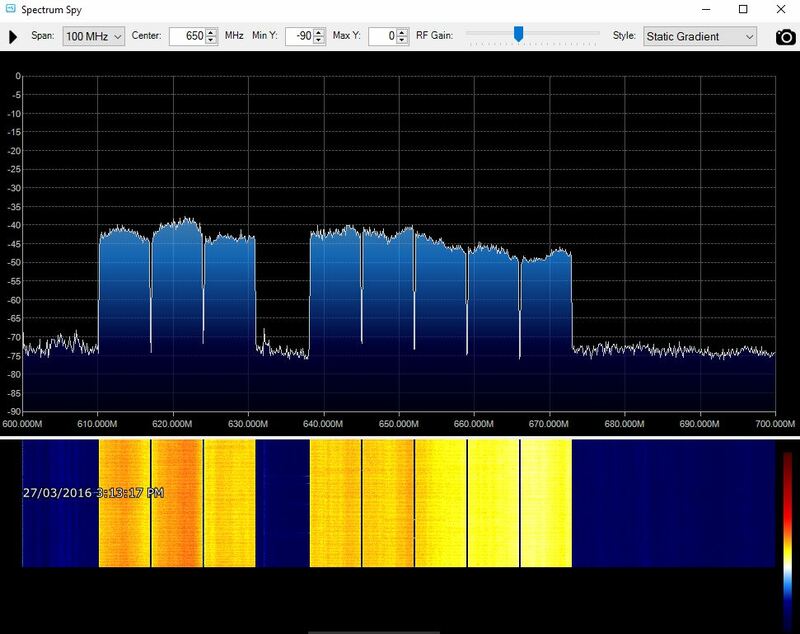 Over on his blog VK4ZXI has been testing the Airspy with the Spectrum Spy software. The Airspy is a $199USD software defined radio that can be considered as a high end upgrade to the RTL-SDR as it has 10 MHz of bandwidth and a 12-bit ADC. The Spectrum Spy software allows the Airspy to be used as wideband spectrum analyzer. In a previous post we reviewed the Spectrum Spy software with the Airspy and found it to have an extremely fast refresh rate. Recent updates since the review have made it even faster. 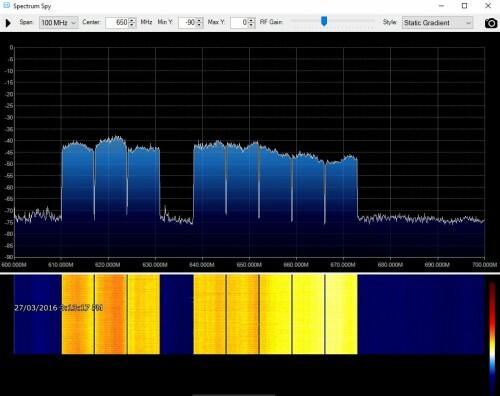 In his first post VK4ZXI compares the Airspy + Spectrum Spy with the RTL-SDR running RTLSDR-Scanner and Rtl_power, two spectrum analyzer programs written for the RTL-SDR. In his tests he finds that the RTL-SDR and Airspy can obtain similar scans, but the Airspy can scan and refresh the spectrum at much faster speeds than the RTL-SDR, thanks to its 10MHz bandwidth. Airspy + Spectrum Spy receiving the entire digital TV band over 100 MHz. 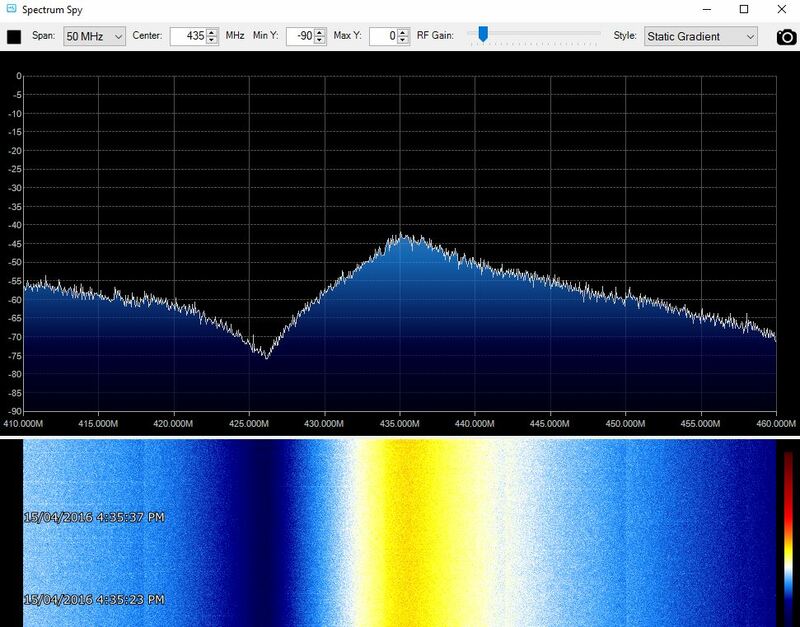 In his second post VK4ZXI uses the Airspy + Spectrum Spy together with a cheap BG7TBL noise source to measure the response of a cavity RF filter. This is the same BG7TBL noise source that we used in our “Measuring Filter Characteristics and Antenna SWR with an RTL-SDR and Noise Source” tutorial. The results from the cavity filter measurement show that the Airspy can potentially perform on a level close to an expensive spectrum analyzer. Measuring the response of a UHF cavity filter with Airspy + Spectrum Spy.